Roberto Olivan strengthens his career with R.O.P.A. - Roberto Olivan Performing Arts - R.O.P.A. 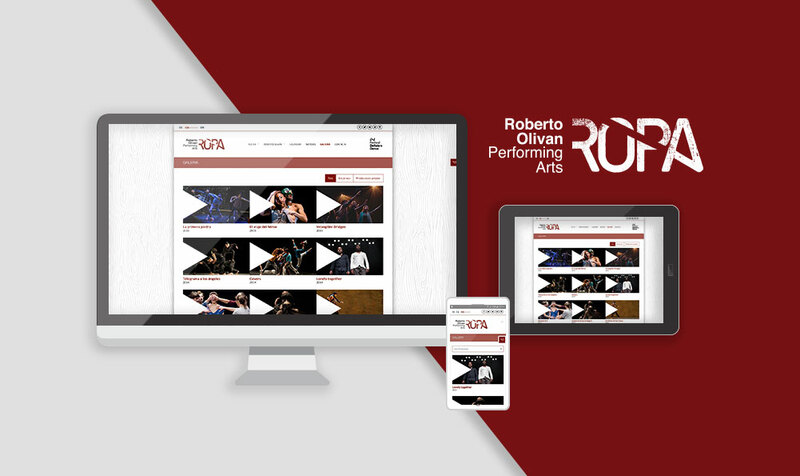 After a long artistic career and after having worked in over 52 countries all over the world, Roberto Olivan empowers now his artistic and corporate career with the new brand Roberto Olivan Performing Arts. R.O.P.A. is the dance company formerly known as Enclave Arts del Moviment. With this commitment to his own company, Olivan will manage all his productions and the Festival Deltebre Dansa as well as other future projects that are under way. As part of its creative activities, since 2001, the company has created, produced and toured internationally with its own performances and workshops as well as commissioned works for dance companies, universities, dance institutions and schools. Moreover, R.O.P.A. is the organising company of the Festival Deltebre Dansa. R.O.P.A.’s birth is reinforced with a new corporate image and a renewed website (www.robertoolivan.com) where you will find information on the company, its productions and all the novelties that will be presented. It is a new space where you can go in depth into the world of the company and its artistic director, Roberto Olivan. The new website will enhance the browsing experience. The whole project has been managed and implemented by the Catalan communication agency Vèrtex Comunicació. This international creator started his training at the Institut del Teatre in Barcelona and P.A.R.T.S. in Brussels. The Belgian capital was the key point in the strengthening of his artistic career. He took his first steps as a professional dancer at Rosas dance company, directed by Anne Teresa De Keersmaeker. He also performed under the direction of renowned directors such as Robert Wilson, Tom Jansen and Josse de Pauw. In recent years, Olivan has participated in dance sectoral meetings held by the Ministry of Culture of the Government of Catalonia and he is a member of the Advisory Council for Culture in Terres de l’Ebre region, also overseen by the Ministry of Culture of the Government of Catalonia. This makes Olivan very optimistic about the possibilities that the region of Terres de l’Ebre have. Olivan wants to show the world the potential of these lands and place them on the map, not only because of its beauty and history but also to strengthen it as a strategic point in the cultural field. Olivan explains that in this new stage his ‘goal is to spend more time at home and bring things here, to my land, but also to travel in order to keep teaching and learning’. In this way, the rebranding of the company is the demonstration of Olivan’s commitment with the culture and his homeland. This commitment started years ago when he created the Festival Deltebre Dansa, an international event that will celebrate its 13th edition from 10th to 23rd July 2017.